Desert Rotor creates innovative, simplified and cost effective ground control systems to manage and pilot commercial unmanned aerial vehicles (UAVs). 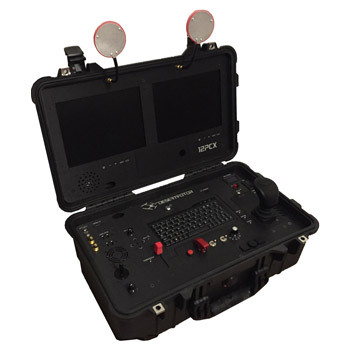 Their controllers are designed for Civil Engineers, movie production companies, aerial inspections, law enforcement, agricultural and search & rescue operations who want to simplify and streamline the drone control process. 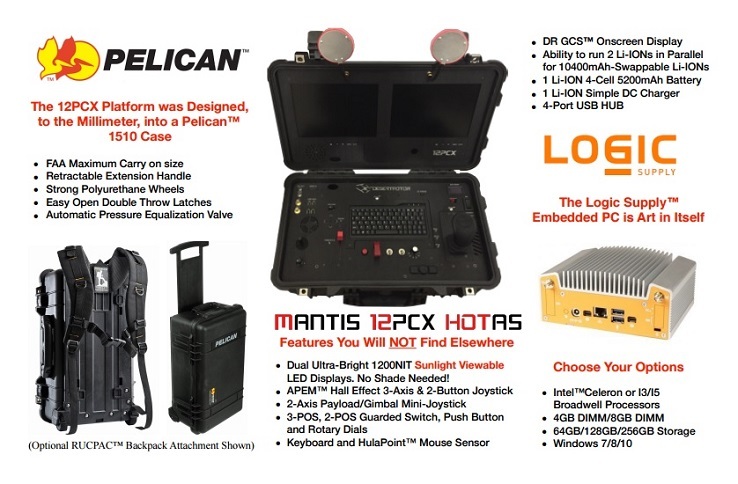 In creating their latest UAV controller, the Mantis 12PCX, Desert Rotor was interested in integrating an embedded PC to allow users to install and manage various software programs as well as provide internet and VPN access. The system would need to be compact enough for easy installation into the final controller, but would also need the requisite power to handle a wide range of software applications and be rugged enough to survive being transported to, and set up in, remote locations. "The 12PCX is a highly innovative ground control system for unmanned aircrafts," says Debin Ray, Managing Director at Desert Rotor. "We've essentially combined 3 major technologies into one form factor. We're integrating an embedded PC with wireless video receiving technology along with radio transmitter functions. This technology all together allows our clients to manage, operate and pilot UAVs using a 3-Axis joystick and various hardware/software tools that we've built into the platform." Combining Intel's Next Unit of Computing (NUC) motherboard form factor with Logic Supply's proven Hardshell™ Fanless Technology, the ML100 was quite literally the perfect fit for Debin and his team. The system is ultra-compact for easy installation, but provides the connectivity and performance that Desert Rotor needs for their control systems. "The primary computer challenge we had was finding an embedded PC that not only had a small footprint but also packed a ton of power, had the customization options we wanted and came with the supplier support we needed. We feel we found all of that with Logic Supply and the ML100. Our Lead Systems Engineer presented the ML100 to be considered as our embedded PC in our flight control system. We went through the specifications and were all really impressed. We then noticed the M3-ATX 125W Power Supply on the website and decided to give that a try as well. The M3-ATX is the power distribution for the entire flight control system we designed and, along with the ML100, worked flawlessly in our prototypes, so we decided right then that Logic Supply was it for us." 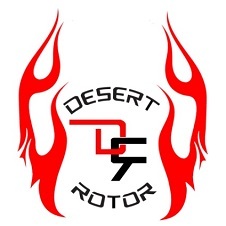 Read more about Desert Rotor, the Mantis 12PCX and the UAV industry in our interview with Desert Rotor Managing Director Debin Ray.